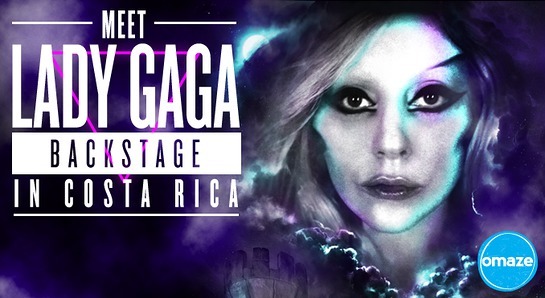 Attention ‘Little Monsters’ – your biggest dream just became possible – and for only $10! Beginning today, Lady Gaga fans can log on to Omaze.com, make a $10 donation to the Young Storytellers Foundation and be entered for a once-in-a-generation chance to be whisked away with a friend to Costa Rica to meet Lady Gaga backstage and watch her perform in the concert of a lifetime, (remember to breathe) complete with airfare and a two night hotel stay. Every five entries from this online sweepstakes empowers an underserved student with a year-long arts mentorship through Young Storytellers Foundation. You can read more about the Lady Gaga experience here.